We are local Realtors and Asheville Buyers Agents here to help our clients save more on Asheville homes and Asheville NC real estate. Let our team of Asheville Buyers Agents and brokers serve you on Asheville area homes today. Call Green Mountain Realty today and let our Buyers Agents assist you on homes, land and real estate here in Asheville NC. Great mountain condominium is absolutely turn-key and completely renovated. Ideal for all Asheville and sports enthusiasts, Cedarwood Estates is ideally located with simple access to downtown Asheville and the Blue Ridge Parkway (1 mile). Tennis, biking, golf, hiking, fly fishing and river sports are all nearby. Solidly built, this end unit has been completely updated and remodeled with new flooring, plumbing and electric-all updated to code. New kitchen appliances, cabinets and granite counters. New bathrooms, lighting fixtures, landscape lighting, paint, ceiling popcorn removed, snazzy window treatments. Entertainment area updated with new fireplace mantle and built ins for cozy evenings. Downtown Asheville is one of the top destination cities in the world, make sure to take advantage of this great location and fun condominium. Two car parking. Pets allowed. 500 SF of storage areas, covered decking on every level for additional enjoyment. I have a question about the property at 17 A Cedarwood Trail Asheville NC 28803 (#3452411). I would like to schedule a visit for the property at 17 A Cedarwood Trail Asheville NC 28803 (#3452411). I have a question about the property at 142 Hanover Street Asheville NC 28806 (#3413517). I would like to schedule a visit for the property at 142 Hanover Street Asheville NC 28806 (#3413517). I have a question about the property at 23 Jackson View Road Asheville NC 28806 (#3484659). I would like to schedule a visit for the property at 23 Jackson View Road Asheville NC 28806 (#3484659). I have a question about the property at 8 Prospect Street Asheville NC 28804 (#3465294). I would like to schedule a visit for the property at 8 Prospect Street Asheville NC 28804 (#3465294). Completely updated and well-maintained North Asheville home awaits new owners. This modern ranch is perfect for the young family looking for a move-in ready home with great outdoor space; including an incredible rock feature wall and hobby house on the hill. Close to downtown and Weaverville; amenities abound. Large basement for more hobby pursuits. New bath, all new SS appliances, electrical, HVAC and roof. Lovely brick fireplace. Quintessential Asheville at an affordable price. Open living spaces flow easily w/ large picture windows, hardwood flooring, ceiling fans, and French doors to the fire pit. Check this one out! I have a question about the property at 45 Hillcrest Road Asheville NC 28804 (#3483310). I would like to schedule a visit for the property at 45 Hillcrest Road Asheville NC 28804 (#3483310). I have a question about the property at 9 Grandview Circle Asheville NC 28806 (#3389861). I would like to schedule a visit for the property at 9 Grandview Circle Asheville NC 28806 (#3389861). Come and enjoy the sunsets on the front porch of this one-story well-maintained home, or enjoy coffee on the back deck. This home features a fenced, low-maintenance backyard, front and back porches, neutral colors, double pantries, and lots of natural light. HVAC is less than 3 years old with WiFi thermostat. Newly mulched and ready for your personal touches. No HOA. Shed in backyard for extra storage. Close to all that Asheville has to offer! Home warranty. I have a question about the property at 14 Myra Place Asheville NC 28806 (#3481563). I would like to schedule a visit for the property at 14 Myra Place Asheville NC 28806 (#3481563). I have a question about the property at 24 Wellington Street Asheville NC 28806 (#3454328). I would like to schedule a visit for the property at 24 Wellington Street Asheville NC 28806 (#3454328). Beautifully renovated 3 bedroom 2 bathroom ranch. Recent work includes 2014 roof, 2012 Heating and air conditioning, 2012 septic system, new updated bathrooms and kitchen. Hardwood floors and tiled floors through out. I have a question about the property at 98 Wolfe Park Asheville NC 28804 (#3474100). I would like to schedule a visit for the property at 98 Wolfe Park Asheville NC 28804 (#3474100). Calling all urban homesteaders! 3.13 acres in West Asheville ready for your finishing touches! Home has original refinished hardwood floors, with ceramic tile in kitchen and bathroom. High-efficiency gas furnace (new in 2009) and cast-iron woodstove with newly lined chimney (2011). Roof, whole-house electrical, and plumbing remodeled in 2009. Detached over-sized single garage/workshop on separate electrical account; formerly an auto shop with ventilation, floor drain, and attached chicken coop and run. Large level yard areas with raised perennial beds and 20x40' raised organic vegetable garden, berry bushes, young fruit trees, and perennial herbs and flowers. Come create your dream homestead! Listed by Holly Aracich of French Broad Real Estate Co. I have a question about the property at 579 Johnston School Road Asheville NC 28806 (#3427989). I would like to schedule a visit for the property at 579 Johnston School Road Asheville NC 28806 (#3427989). Charming 1920's era bungalow! Central yet peaceful setting to stroll to UNCA, the Asheville greenway network, Botanical Gardens, as well as Merrimon Avenue restaurants, ice cream, and breweries. The covered front porch, natural light, wood stove, and front and back yards create the perfect home base to unwind. This house has been well cared for- hardwoods are in good shape, and it would make a great investment property. The kitchen is a blank slate ready to be modernized to the buyer's preferences. I have a question about the property at 11 Lee Avenue Asheville NC 28804 (#3459280). I would like to schedule a visit for the property at 11 Lee Avenue Asheville NC 28804 (#3459280). Asheville's best kept secret is out! This low maintenance townhome is located less than two miles from downtown Asheville, West Asheville and the River Arts District. Who knew you could find a low- maintenance private end-unit townhome located in the heart of Asheville? This beautifully maintained home has an open floor plan with hardwood flooring throughout. Lovely kitchen with solid surface countertops and stainless appliances. Master bedroom with full bath. Step out the back door and enjoy the relaxing and private patio oasis. Powder room and laundry on main level. Single-car garage with plenty of room for storage. Additional parking area allows for ample neighborhood parking. Low HOA fees are $650 a year and cover lawn and exterior home maintenance. Four-unit town home complex with non-restrictive HOA. Walk to Green Tea Restaurant, Racquet Club, Crowne Plaza golf course or Asheville Adventure Center. I have a question about the property at 67 Nancy Street Asheville NC 28806 (#3483026). I would like to schedule a visit for the property at 67 Nancy Street Asheville NC 28806 (#3483026). HIGHEST AND BEST BY 5PM MONDAY 3/11. Move in ready. West Asheville. Affordable. You don't often see those three attributes at the same time. This home in the Burton Street neighborhood boasts a fenced in yard and over 1300 square feet of living space for under $250k. Yes, friend, you read that right. Recently updated kitchen feels light and bright with lots of cabinet storage, brand new granite counters as well as a functional dining area. Not only is there a huge side porch off the kitchen for outdoor dining and an awning to grill under, but also there is a second large deck off the back plus a small screened in porch on the front. Full bathroom on each level. Two roomy bedrooms upstairs. Downstairs master suite could also be used as a large family room. Walkable/bike-able to Haywood Rd shops, bars, restaurants, bus line, etc. I have a question about the property at 213 Edgar Street Asheville NC 28806 (#3480782). I would like to schedule a visit for the property at 213 Edgar Street Asheville NC 28806 (#3480782). I have a question about the property at 519 Old Leicester Highway Asheville NC 28806 (#3493689). I would like to schedule a visit for the property at 519 Old Leicester Highway Asheville NC 28806 (#3493689). I have a question about the property at 305 Piney Mountain Drive Asheville NC 28805 (#3447827). I would like to schedule a visit for the property at 305 Piney Mountain Drive Asheville NC 28805 (#3447827). House on large lot close to Asheville location, with city water and sewer. House is being sold as is , expecting builder to purchase the property to put multiple homes. Home is less than 500 feet from City water. This will allow at least 4 homes or more on site. Checking to see how many homes can be place on the property. I have a question about the property at 107 Glendale Avenue Asheville NC 28803 (#3473860). I would like to schedule a visit for the property at 107 Glendale Avenue Asheville NC 28803 (#3473860). Location! Location!!! Beautiful house 3 bedroom, 2 bath in west asheville,close to patton ave and haywood rd; move and ready , with an open floor plan, tons of natural light; super clean fresh paint nice master bedroom. New carpet, only minutes from downtown asheville, close to restaurants and shopping centers. Seller motivated please bring your offers. I have a question about the property at 18 OAKCREST Drive Asheville NC 28806 (#3461027). I would like to schedule a visit for the property at 18 OAKCREST Drive Asheville NC 28806 (#3461027). 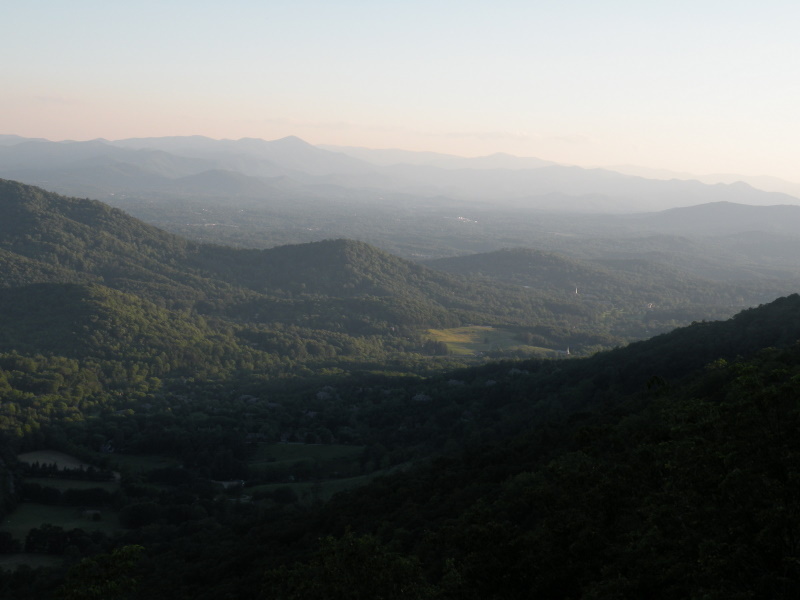 Great North Asheville location, 10 minutes to DT Asheville and 5 minutes to DT Weaverville. Situated on a corner lot in the desirable Stoneybrook neighborhood with convenient access to retail, dining and Interstate 26. Single level living with laminate wood floors throughout the home. 3 Bedrooms + bonus/office. Come put your finishing touches on this great home. I have a question about the property at 301 Heather Court Asheville NC 28804 (#3441141). I would like to schedule a visit for the property at 301 Heather Court Asheville NC 28804 (#3441141). Affordable in Asheville? You found it! 252 Barton Road is a lovely on-frame modular home with many upgrades including HW floors, oak cabinets, Tiffany-style lights, a Vermont Castings wood stove and drywall (instead of paneling!). Spacious rooms with an eat-in kitchen and a separate dining room. Split bedroom plan with walk-in closet in each bedroom. Many rooms are freshly painted and ready for you to move in and enjoy! Conveniently located in the Woodfin Township with City water/sewer/trash. The location is right off Merrimon Ave close to Weaverville, N. Asheville, shopping and restaurants. Zoned R7 allowing VRBO's. The 1.3 +/- acres can be subdivided for a second building site. Land lays fairly level with end of the road privacy and plenty of parking. It has a fenced area where an above ground pool once sat. Decking, electric and level, graveled area remain. Currently used as an outdoor patio but you could set another pool in place. A new 12 x 28 storage barn w/workbench is included. I have a question about the property at 252 Barton Road Asheville NC 28804 (#3490566). I would like to schedule a visit for the property at 252 Barton Road Asheville NC 28804 (#3490566). New proposed one story home on lot 8 (see attached plat); 1144 HSF, 3 bed, 2 bath, open plan, fireplace, nice flat lot with creek in back yard, all appliances; fridge, microwave, dishwasher, range. About 10 minutes from downtown Asheville. Construction to start soon. Photo is showing a home similar to (not actual photo).. I have a question about the property at 136 Old County Home Road Asheville NC 28806 (#3443930). I would like to schedule a visit for the property at 136 Old County Home Road Asheville NC 28806 (#3443930). I have a question about the property at 49 Wilmington Street Asheville NC 28806 (#3467924). I would like to schedule a visit for the property at 49 Wilmington Street Asheville NC 28806 (#3467924). Views, Views, Views! If you are looking for great views 4 minutes to downtown this is it! Heat pump, stainless steel range/oven, dishwasher, microwave, and hot water heater all replaced in 2017. Wood burning fireplace and views from all rooms. Pool, HOA covers water/sewer and all exterior maintenance. Flooring and updating needed but one of the few main floor East facing units with year round views! 2 dogs, no weight limit and can be a rental. Owner is a North Carolina licensed broker. Furniture negotiable. Sold as is. I have a question about the property at 530 Windswept Drive Asheville NC 28801 (#3476571). I would like to schedule a visit for the property at 530 Windswept Drive Asheville NC 28801 (#3476571). Adorable home in a terrific setting with mountain views. Fantastic location on a large corner lot with tons of potential! This sunny home is perfect for investors/first time homebuyers who want to put their finishing touches on their home. Basement is easily finished. Newer roof and granite countertops. Lovely, oversized lot with mature trees, grape vines and tons of room. Home just needs some small updates and it will be perfect! This home is extremely convenient to Asheville, Biltmore Village and all the amenities in the area. Come check it out! I have a question about the property at 116 Graham Lane Asheville NC 28803 (#3487545). I would like to schedule a visit for the property at 116 Graham Lane Asheville NC 28803 (#3487545). Well renovated West Asheville cottage with gorgeous original heart pine flooring. Home was stripped to the studs and now has new metal roof, electric service, PEX plumbing, insulation, sheet-rock, and mini split HVAC. Kitchen has ample granite countertop space and new cabinets, double sink, stainless steel appliances, and custom poplar countertop bar. Contemporary open living floor plan! New double pane vinyl windows on main and original vintage windows on lower level. Two car tandem (four car) carport. Fenced in backyard. Major bonus space on lower level that has three finished rooms with hard wood floors and functioning bathroom! It is not counted in square footage due to low ceilings. I have a question about the property at 75 Sand Hill School Road Asheville NC 28806 (#3478447). I would like to schedule a visit for the property at 75 Sand Hill School Road Asheville NC 28806 (#3478447). Beautiful Mountain Views Surround This Immaculately Maintained Home That's Super Efficient w/Low Bills. Many Updates Including, Newer Simonton Windows, Newer Trane Gas Furnace & Trane Air Conditioning Unit, Newer Metal Roof, Completely Update Bathroom with New Floors, New Shower, New Toilet & New Sink! This Home Offers So Many Great Features With A Cozy Wood Burning Fireplace, Gorgeous Hardwood Floors, Mountain Views From Several Rooms, Tiled Kitchen w/Breakfast Bar & Pantry, Great Den In Basement w/Lots Of Natural Light, Awesome Fenced Back Yard, Covered Back & Side Porch, Multi-Purpose Detached Garage/Workshop, Single Carport & More. Just Minutes To Vibrant Downtown Asheville! Check Out This Charming Home Today!!!! I have a question about the property at 120 Cedar Hill Road Asheville NC 28806 (#3467753). I would like to schedule a visit for the property at 120 Cedar Hill Road Asheville NC 28806 (#3467753).